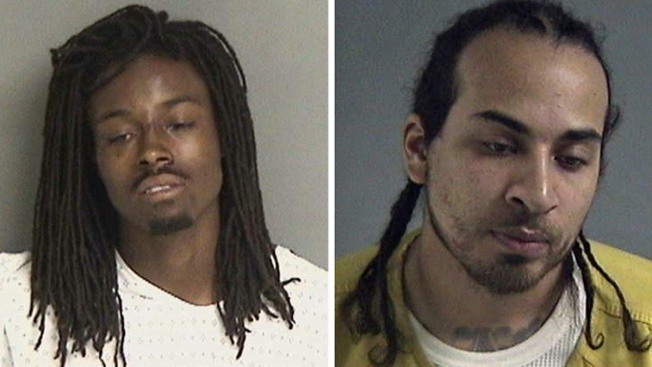 Two suspected gang members who are well known to Oakland police have been arrested and charged for the murder of pet sitter and dog lover Judy Salamon in her East Oakland neighborhood last July, police said Thursday. Oakland police Sgt. Mike Gantt said a lengthy police investigation indicates the 66-year-old Salamon was fatally shot in the 2400 block of Fern Street at about 1:24 p.m. on July 24 after she used her cellphone to take a video of 22-year-old Stephon Lee of Richmond and 21-year-old Mario Floyd of Oakland committing a crime in her neighborhood. Gantt said Salamon, who lived about a half mile away in the 2700 block of Best Avenue, then followed the two men in her car but they shot her and took her cellphone. He said police believe Lee shot Salamon and Floyd also is charged with murder because he drove the suspects' car. She crashed her car into a parked car after she was shot. Gantt said Salamon, who had been working to make her neighborhood safer, "was a brave lady but she should have called 911" instead of following the two men. He said, "We want people to be vigilant, not vigilantes. We don't want people to follow suspects." In addition to murder, Lee and Floyd are charged with the special circumstance of committing a murder during the course of a robbery. Lee is also charged with being a felon in possession of a gun because he has two prior felony convictions, one for second-degree robbery in 2011 and one for possession of a firearm on Sept. 25, 2012. Prosecutors said Floyd was convicted of carrying a loaded firearm in a city last July 16, only eight days before Salamon was murdered. Floyd is scheduled to be arraigned on Tuesday and Lee is scheduled to be arraigned on May 2. Gantt said Oakland police are "very familiar" with both Lee and Floyd. He said the two men aren't documented gang members but police believe they belong to a neighborhood gang in Oakland. Oakland City Councilwoman Libby Schaaf, who represents the area where Salamon lived and was killed, said today Schaaf had been advocating for hiring a private security firm to patrol her neighborhood because she was concerned that police weren't patrolling enough there. A private security firm was finally hired later last year, she said. After hearing the details about how police believe that Salamon was killed, Schaaf said, "I am worried that citizens are putting themselves in danger because they are not confident that police will come quickly when they are called. We have got to fix that problem." She said people in the area where Salamon lived "felt under siege last summer" until the private security firm was hired. Schaaf, who is running for mayor in the November election, said the Oakland Police Department still doesn't have enough officers on the streets even though it is starting to recruit and hire more officers. The department had 837 officers six years ago but Schaaf said it dropped to 609 officers last year, which said she was the lowest staffing in 35 years, and now has just 611 officers. Schaaf she's not including 47 new officers who graduated from a police academy earlier this month because they must still undergo three months of training before they can work on their own.